Fred Jonny Berg is one of those rare species who truly lives up to the description of multi-talented artist. Born in 1973, he has now made his name as a singer, writer, film producer, composer and conductor in his homeland of Norway and beyond. His musical compositions focus on one core element: sound. Traditional instruments or electronic devices make no difference to him. This 2L album compiles works that are composed for traditional instruments yet his exceptional sound concepts are apparent in each musical phrase. While roaming the boundless realm of invention, Berg never sacrifices the fundamentals of music making. At least from the representation of this album, his music has that emotional appeal so many modern compositions fail to communicate. The selected works here involve massive orchestrations that allow Berg to stretch his musical canvas wide and paint with brilliant strokes of melodies and contrasts that evoke the most enchanting moods in modern music. None of the works are abstract. In fact, with the lateral development of his melody progressions and modulation hand in hand with the vertical structure of harmony and counterpoint, it’s only fair to call him a modern-day romantic. 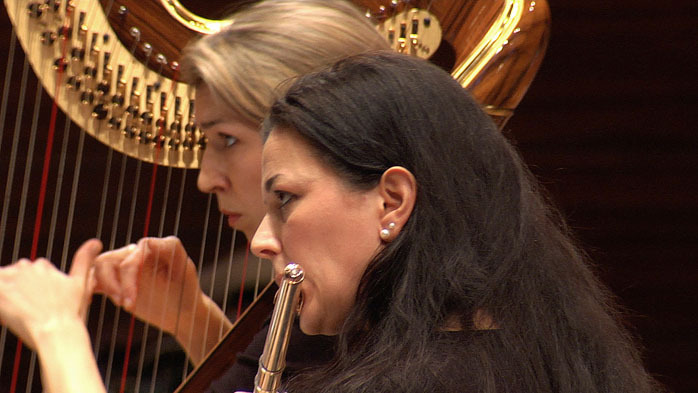 With imaginative arrangements, Berg either blends these lateral and vertical forces into concord as in Flute Mystery and Pastorale or juxtaposes them to create tension as in Warning Zero and Vicino alla Montagna. 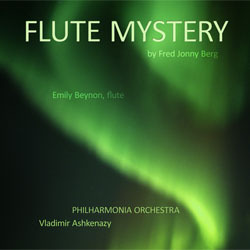 It’s mesmerizing to relax and let Flute Mystery take you into the sanctuary of serenity. Or imagine yourself on a late afternoon wagon ride quietly savoring the subtle change of light and shade along the way in Pastorale. While these two works lead the audience to attune to the rhythm of nature and its ever-changing beauty, the other two leave them wondering or even in awe at the unforgiving power of nature. 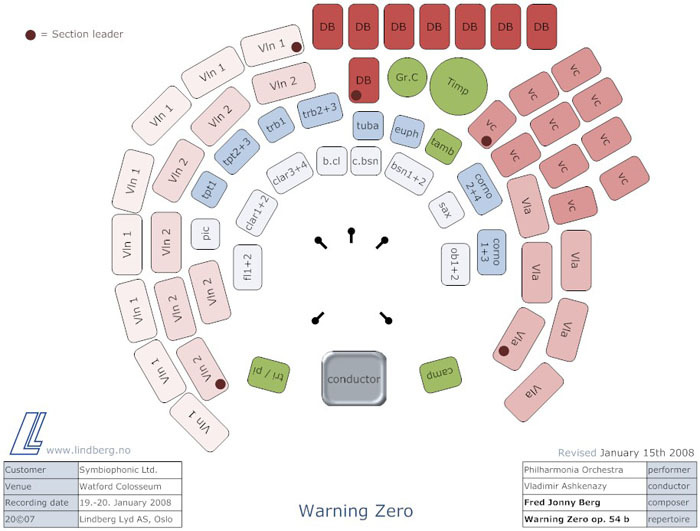 The augmented brass section with euphonium in the tone poem Warning Zero introduces an undeterred apocalyptic urgency that is later diffused by the jubilant woodwinds. The film music Vicino alla Montagna is a dark rendering of Nordic mountaineers at the mercy of mother nature and only brightened up with a good-humored interlude. 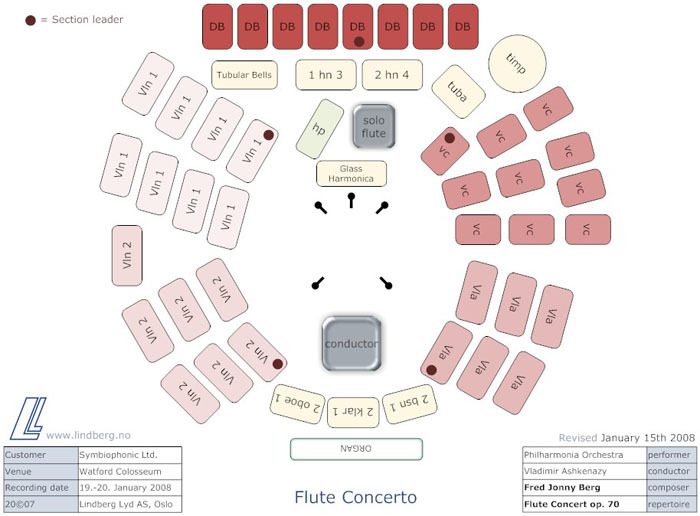 The Flute Concerto is the beautiful four-movement centerpiece plotted along the Romantic vein yet spectacularly orchestrated with harp, glass harmonica, tubular bells and organ. It opens with the dramatic and expressive "Momento" and finishes with the plaintive "Awakening". The two middle movements are intriguingly related. The restless tremolo string motive at the end of the "Reminiscence" is picked up in the opening of the "Orbituary" yet the moods are a contrast of haunting lyricism and whimsical delights. 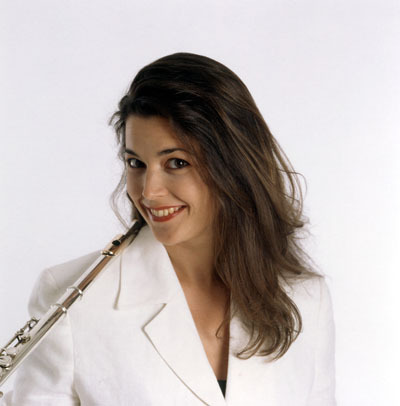 Welsh-born Emily Beynon, principal flutist of the Royal Concertgebouw Orchestra Amsterdam to whom the work was dedicated, does perfect justice to the piece. I find her playing most compelling in the two contrasting middle movements. The expansive solo in "Reminiscence" is like a sad solitary bird in the deep forest which turns into a carefree soul soaring above unsettling waves of destiny in "Orbituary". 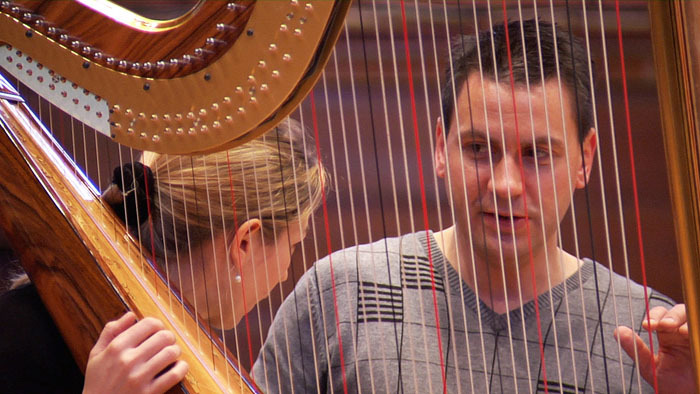 Incidentally, harpist Catherine Beynon in the wonderful flute and harp collaboration of Flute Mystery is the sister of Emily. And once again, Vladimir Ashkenazy proves himself to be one of those living conductors with keen ears and a special gift for handling even the most overwhelming tonal palette. 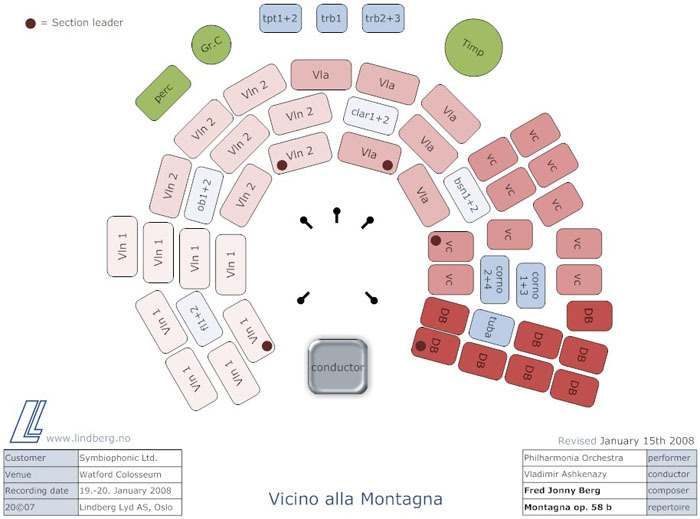 The other one of course is Berg the composer and conductor who shows immaculate control of conservation and discharge of the latent energy in Warning Zero and Vicino alla Montagna. The non-conformist Norwegian label 2L never fails to astound us with their multi-channel recordings. This time, they’ve gone as far as tailor-making a special stage layout to suit each piece of work. Every title on this album is a new sensation of sound. 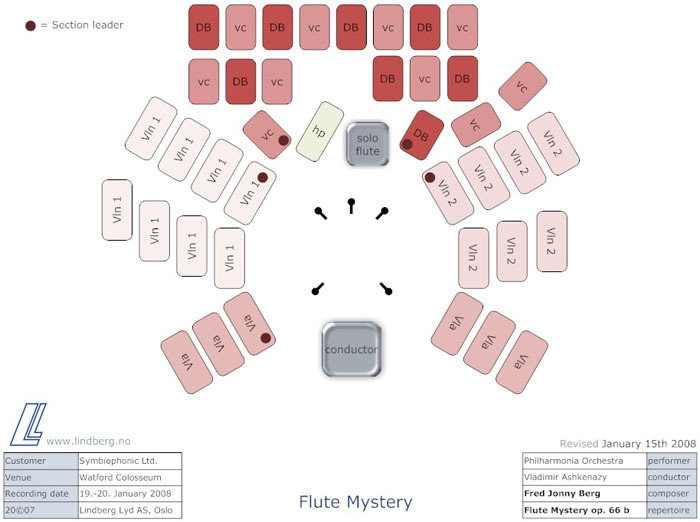 In Flute Mystery for example, the cellists and bassists are intermingled to cast a seamless celestial sphere of lower strings while violinists and violists wrap around in a full circle. In 2-channel mode, the surround signals fold naturally into the front and project a naturally deep soundstage.